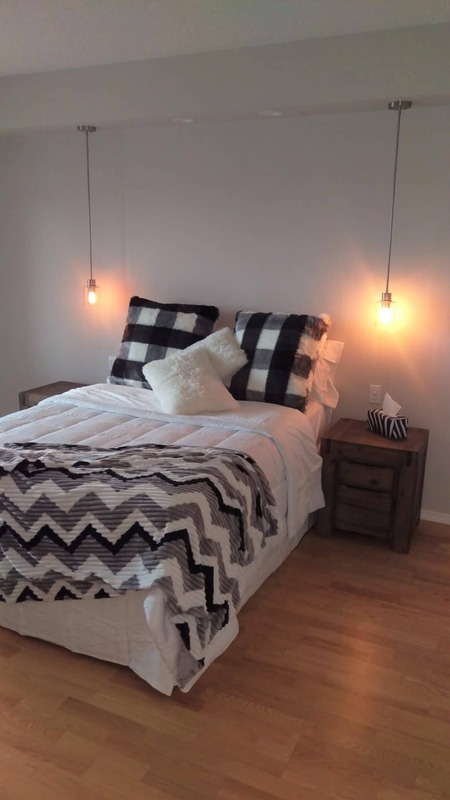 Pendant Lighting ⋆ Blue Chip Electrical Inc.
Small condo renovation. This room had old brass trim pot lights with CFL lamps over the bed. We removed the pot lights and installed new pendant lighting with switches next to the bed to control them.